Have you noticed one of your teeth has turned gray? Did something happen and now your tooth enamel is off-color with a grayish hue? 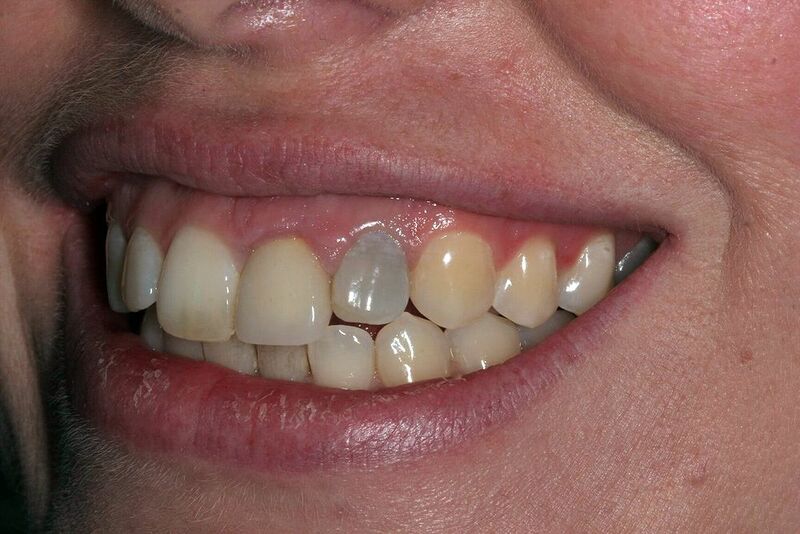 This tooth discoloration a common problem, but the good news is that it isn’t necessarily tooth decay and it can be remedied. The most common cause of gray tooth discoloration is trauma to the tooth enamel. This often occurs when people fall or are hit in the mouth and the nerve in the tooth is damaged. When a tooth turns gray after a trauma or dental treatment like a root canal treatment, it usually doesn’t mean much other than the tooth being a different color.